As members of the nuclear community, we know that the success of nuclear energy has never been more important to ensuring a positive future for the world – but what can we do to make a difference? Our workshop will leave participants energized to tell today’s nuclear power story and be well-equipped with the tools to do so. Gen A presents four impactful and unforgettable modules. The team, debriefing a successful training at Idaho National Lab. Convincing others about the benefits of nuclear is more than just laying out the facts; it's about values. Storytelling can bridge gaps when speaking to those who are unfamiliar with the technology by explaining the personal and moral reasons that we work in this field. This interactive module helps participants develop new skills in nuclear communications that will serve them anywhere-- at social functions, delivering a presentation a community group, or making the case to an elected official. Each opportunity to tell your story is an opportunity to shift someone’s perspective on nuclear energy and make a positive change in the world. And after this training, when the opportunity presents itself, you'll be ready. The most effective nuclear advocacy often takes place at the interpersonal level when we strike up conversations with peers and even better, strangers. Because you can never know who it might be sitting across from you at that dinner party or next to you on the airplane, it’s important to practice having open, considerate conversations with people of all backgrounds. This module will focus on identifying different types of interactions you may experience as well as the goals for those interactions. 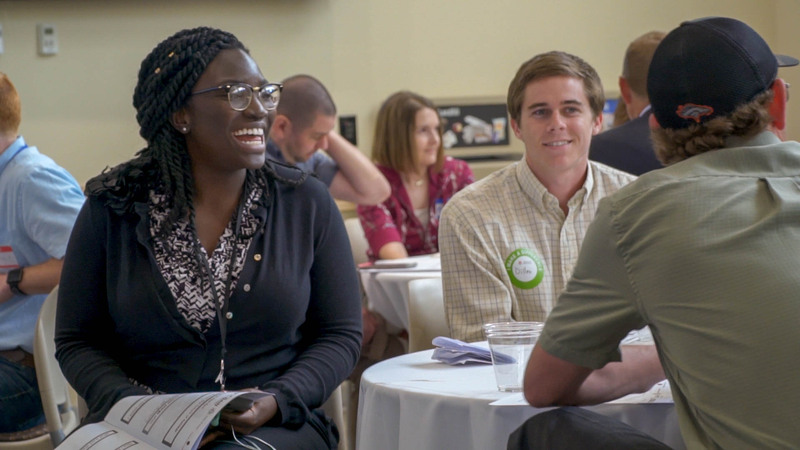 We will conclude with Nuclear Conversations Speed Dating, an exercise designed to model those instances so that you can feel prepared when speaking with anyone: regardless of their political, environmental, social, or economic views. Many conversations about nuclear energy are happening on social media or in comment threads. Learn the best practices of online engagement, and how to grow your impact outside of the usual people who see your posts online. What if you could reinforce the skills of the day with fun and occasionally hilarious activity that had real-world impact? That's what the atomic list does. 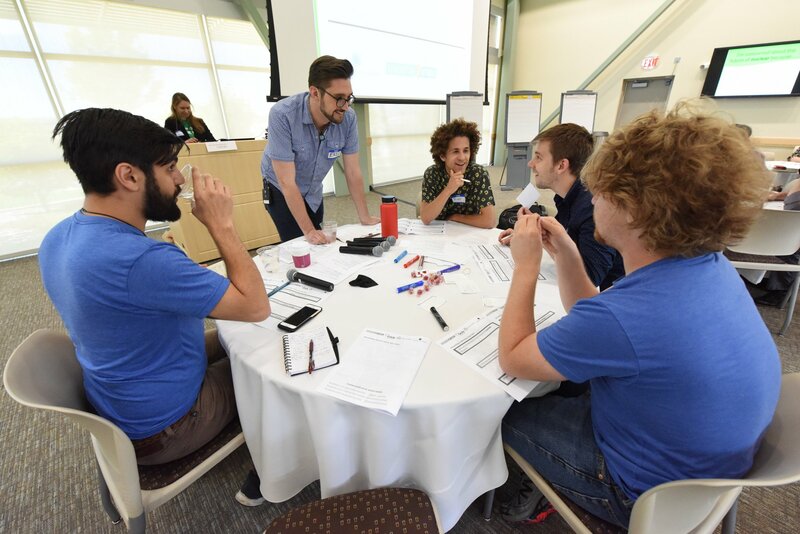 Participants play the role of lab employees or nuclear workers balancing *simulated* job responsibilities while completing actual nuclear advocacy actions like contacting legislators and engaging on social media.